Hey, it’s Maria here from GoalieTrainingPro.com for another episode of Goalie Training Pro TV. Today we’re stepping in the lab, I was going to wear my lab coat, but then with my shorts on it would like I had no pants on, so I decided to leave my lab coat in the office. But we’re going to dive in. 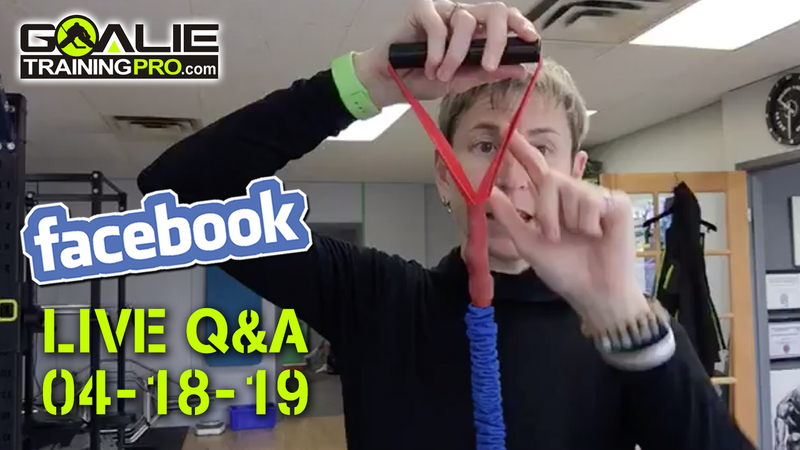 I’m going to kind of give you an inside outlook at how I come up with a lot of the training concepts, and the ideas that I use in the programs that I create for you. So, I get a lot of that from research articles, and they’re very, very boring. It’s not like People magazine. There are no colour pictures. But it has the science. 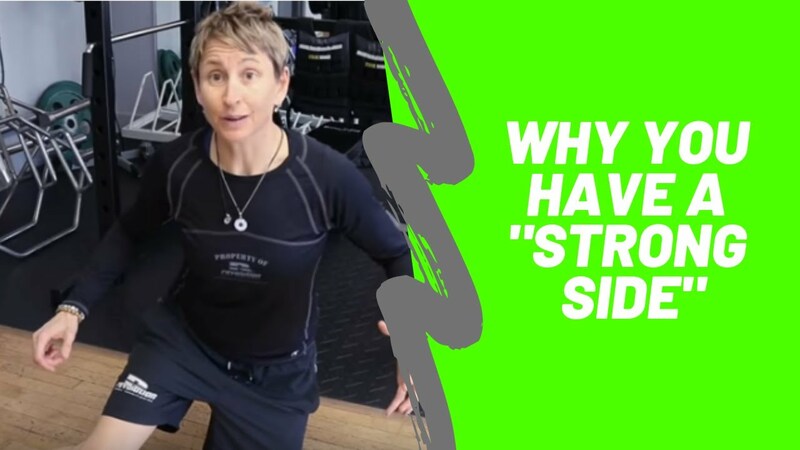 So, it works two ways ’cause you can’t wait for science to dictate, ‘Oh, this is how you should train,’ because they’re scientists they’re not strength coaches. And then they post that, and then strength coaches like me come along and be like, ‘Oh, okay that’s interesting. Oh, this works. Or this works better than that. Or this doesn’t work at all.’ And then and so it goes. So, it’s a little sort of symbiotic relationship there. But a study … So, this is one of my little pet peeves, because I did my masters and we would be ripped to shreds in front of everybody, if you would say, ‘Oh, a study,’ and it wasn’t a study. It was like somebodies … Like what you see on the Goalie Training Pro blog is not a study, it’s like it’s me giving you information. A study is very like… in this case, it’s 55 healthy subjects mien age 23.7. We ran this strict protocol. We controlled these other variables. We measured this scientifically. The researchers were blinded (which isn’t what it sounds like) but the researchers doing the testing didn’t know which research group these people were in. So, they’re not being biased. That’s a research study, and it’s very time-consuming. It’s very tedious. I had to do one for my master’s thesis, but that’s how you actually get objective data that isn’t … It doesn’t matter what I think it’s going to be or should be, or what I want it to be, or whatever it’s just this is what the numbers say. So, that’s what a study is. So, this study is Whole-Body High-Intensity Interval Training Induces Similar Cardiorespiratory Adaptations Compared with Traditional High-Intensity Interval Training and Moderate-Intensity Continuous Training in Healthy Men. And this was published in the Journal of Strength and Conditioning Research. Again, sort of boring to read, but what I’m going to do in this episode … I’m going to try to do this every month or two months just so you can get an appreciation of what actually the research says. So, I’m just going to boil it down. 55 men mean age 23.7, and their three research groups were: High-intensity bodyweight training, high-intensity treadmill training, high-intensity interval training on the treadmill, and then moderate-intensity continuous training on the treadmill. So, the two high-intensity groups did just one straight Tabata protocol. And the Tabata protocol is 20 seconds max effort, and not like 20 seconds hard. 20 seconds as hard as you can go, followed by 10 seconds of rest, and you do that eight times. So, in your head you’re like, ‘That’s only four minutes. Like that’s not very hard.’ If you don’t feel like you want to die, you’ve done it wrong. So, it’s really, really hard. And they’ve studied this in weight loss, and they found that like people doing that protocol had equal or better weight loss than people who went out and ran for like 60 minutes continuously for 16 weeks. It’s pretty cool. One group did like burpees and jumping jacks and things like for their 20 seconds on, and they did four different exercises and went through it eight times. And then another group did the same protocol, 20 seconds on 10 seconds off times eight, but they went at a 130% of the velocity of their VO2 max. So, part of this was they did a treadmill test, a VO2 max treadmill test, which is a test to exhaustion that measures … It knows exactly when you hit your anaerobic threshold, it gives you all these parameters, and it finds your actual maximal aerobic capacity. So, these guys for their 20 seconds on they’re going at a 130% of their maximum aerobic capacity, but it’s for a shorter time so that’s why they could do it. Still not easy at all. Then the moderate-intensity continuous group did 30 minutes of treadmill running at 90 to 95 percent of the heart rate associated with their second ventilatory threshold. So, when they … You get to a point where you start breathing hard, but you’re still going, but then you get to that point when you’re training, and you guys have all been there, where it’s like now I can’t control it. That’s that second ventilatory threshold, and that … You know if you keep going at that pace you’re going to be clocked within 30 to 60 seconds probably you’re done, maybe 60 to 90 seconds, but you just can’t keep going at that. So, they were at 90 to 95 percent of that second ventilatory threshold, so just below that. Again not a pleasant place to spend 30 minutes. They went for 16 weeks, three times per week. So, then they did … And they even did a measurement in between. They reevaluated their parameters so they could adjust the speed, because after eight weeks of training like that my VO2 max is going to improve again. So, then they’re going to have to shift my training parameters. So, they did that. Then at the end of the 16 weeks they measured everybody again, and that was their final test. Everybody had statistics, and, again, like not what I think is significant, statistically significant improvements in VO2 max, so in aerobic capacity. The max time to exhaustion was higher in the treadmill group than the body weight group, but also the researchers thought, and it makes sense, because they’re on the treadmill all the time they probably got a bit of training effect just in being more efficient on the treadmill. So, maybe that explains it. Similar increases of second ventilatory threshold were seen across all the training groups, and … So, that was … Those are kind of the significant findings. So, what does that mean for you, or for me when I’m going to work with a team? What it means is that we don’t need equipment. We can still get really good improvements in VO2 max. I think at the NHL level most of those players are very highly trained. Obviously, they have the baseline fitness capacity to play at that level, or they wouldn’t have made it to that level. But I think some of our younger players don’t have that same aerobic capacity, so I still think it’s worthwhile. Plus if we can gain aerobic capacity within the context of moving really, really quickly and explosively for 20 seconds, and then getting a little rest, and then going again for 20 seconds. I know it’s not the same as a shift, we’re not trying to make it the same as a shift, but there’s going to be some crossover there. There’s going to be some mental toughness training in there, and there’s also going to be some local muscular endurance development there. So, I think it has really good value. And if we look at … If you look back at the last episode of Goalie Training Pro TV, where we talked about … I showed you three different stamina circuits you could use for in-season training. And the time was a little bit different, but you can use those exact same exercises, or pick just one of them, and do this protocol: 20 seconds on, 10 seconds off times eight. So, again, that’s another piece of the puzzle. We go to the research, we look at what it says. How does that apply to what we do? Is that something we can use to maybe improve how we train a little bit? That really doesn’t have a payoff, but this way we save time, we’re time efficient, we need no equipment just our body weight, and we can improve our max VO2. So, that is the scoop from the lab on Goalie Training Pro TV for this week. I will see you next week. Bye-bye.